Why, hello there JULY! It's hard to believe you are here already! 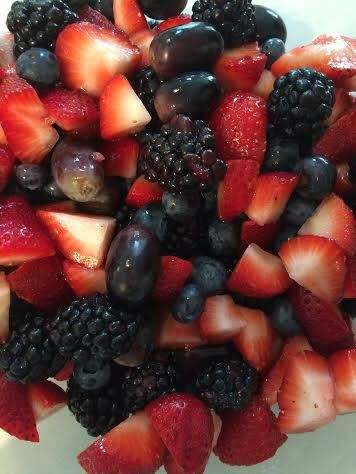 I always feel as if Summer is practically over once the July 4th holiday comes and goes. Last month, I shared my June goals and I wanted to share how I did as well as share my goals for the next month. 1. Make Sophia's Kindergarten physical appointment- DONE! I am terrible at making appointments and a master at putting it off. I made myself do it on Monday. Cutting it close but it got done! 2. 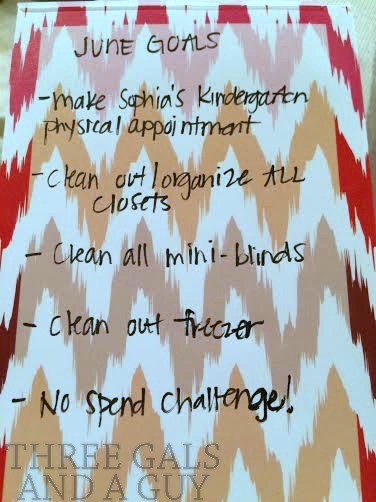 Clean out/organize all closets- I actually got this goal almost all completed. I was able to clean out and organize our hall closet, linen closet, basement storage, pantry and both the girls' and our closet. We took two large loads to Goodwill and it felt great. We still have some things we need to take to Goodwill but I'd say this was a success! 5. No Spend Challenge- If you ask Will, he would say I failed. Did I spend absolutely NO money during the month of June? I'd be outright lying if I said yes. BUT, this challenge did provide me the chance to really curb my impulsive buying. I REALLY thought about EACH AND EVERY purchase I was making and I really did end up spending less than normal. So, for me, it was a success. 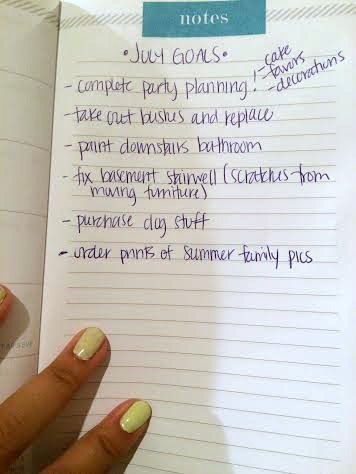 July is super busy for us ( I feel like I say that each month) as we have Sophia's birthday and birthday party, we welcome a new furry family member and need to prep for that and we still need to cross some things off our Summer bucket list. Our bushes outside our house are dying ( I'm really good at killing things off) and we need to replace them. We can replace them with "anything that looks good" per our association's policy. Any suggestions? As you may guess, shrubbery and greenery are not my forte. And that's it! Having monthly goals makes me not only feel productive but to get it out of my head and onto paper makes it seem so much more manageable! How adorable are these invites? 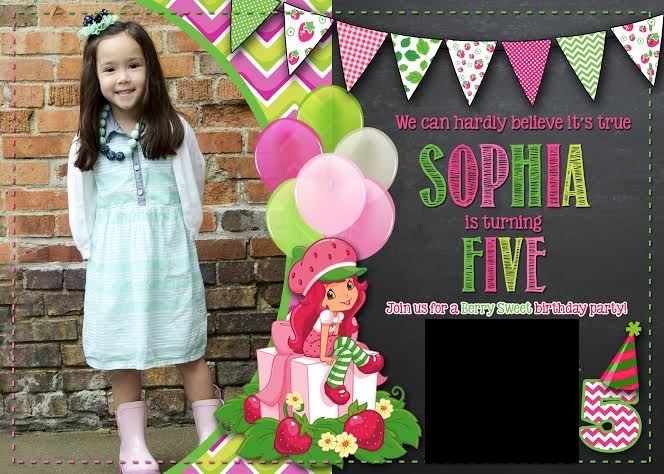 This year, Sophia helped choose the invitation she wanted. She picked a good one! :) Stay tuned for more birthday planning details! I ordered these invites on Etsy.